This is the story of four families struggling to survive in a time of war. In Upper Canada, the Benjamin family found freedom from slavery. Now with their white neighbours and friends, the Lockwoods, both must defend a new homeland from impending American invasion. These families are Loyalists, living near Niagara Falls. The Babcocks are pacifist Quakers who have found a place of peace, security and tolerance in the British province, yet they too are threatened. 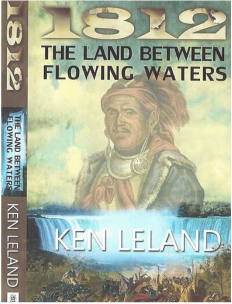 Finally, for Kshiwe, Kmonokwe and their children, 1812 is just another season of fear among First Nations people. This Neshnabe family lives many days travel to the west in a place settlers call Indiana. In the shadows of Tecumseh and Brock, all join in the fight to endure. Also available on Apple iTunes.